The KitchenAid 9-Speed Hand Mixer comes with a bundle of accessories which puts it above the basic tools making it almost a fully fledged kitchen assistant. The KitchenAid brand is so well known around America’s kitchens that it is synonymous with kitchen mixers. It’s not a surprise that after the iconic stand mixer their hand mixer has climbed to the top of popularity among the kitchen folks. Hand mixers are far from being a true partner in cooking and baking but that’s not a surprise at all. Most of them don’t even come with the necessary tool set needed for basic baking. Despite this handicap hand mixers have a place on the kitchen counter as secondary tools or primary tools for those who just don’t want to use a fork for making mashed potatoes. Small batches of cookies, meringue, mashed potatoes are all of the tasks a small hand mixer with a standard beater could cope well with. 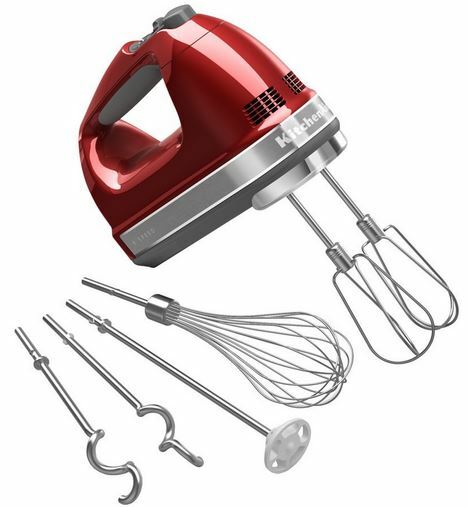 The KitchenAid KHM926ER Empire Red 9-Speed Hand Mixer comes with a bundle of accessories which puts it above the basic tools. It makes it almost a fully fledged kitchen assistant. 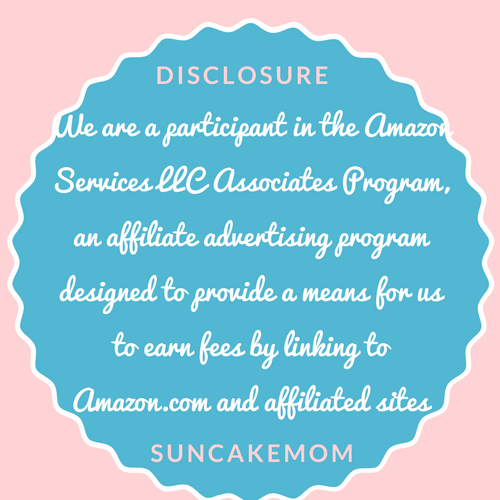 Whisk – To whisk what we need to whisk. Merengue, cream, mayo and so forth. Dough hooks – To knead whatever we fancy. There isn’t much difference between donut and pizza at this level. Blending rod – It’s useful for soups, smoothies, baby food or anything that needs some blending. These don’t need much explaining as they do what they have to do in the kitchen. The 9 mixing speed will do miracles when we want to slow things down a little bit. If this wouldn’t be enough there is a soft start option too. This function brings the beaters up to the selected speed gradually to help prevent ingredients from splattering. Lock the cord into either the left or right side of the mixer so we can approach ingredients from any angle. Not sure how useful this function is but the round cord is easy to wipe clean that’s for sure. Easily and quickly remove any accessories from the hand mixer with the single-handed press of a button. Although, this is rather a standard function on most machine nowadays but worth to mention. Not a standard but definitely a useful feature is the soft grip handle which provides comfort while mixing and it won’t let the machine slipping out of wet hands easily. Not like anyone would handle electric devices with wet hands but if someone is daring enough then this makes the process much safer. Overall it is a very neat looking little machine which does its job well. KitchenAid has a tendency to offer great selection of colors for the range of products they offer. 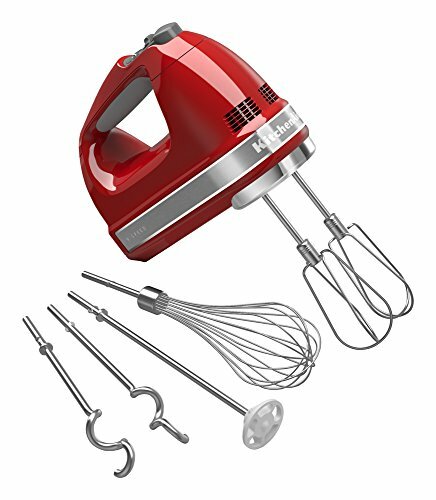 KitchenAid KHM926ER Empire Red 9-Speed Hand Mixer is rather an exemption to this as we can order it in 5 colors only: Candy Apple Red, Contour Silver, Empire Red, Onyx Black and White. Buy the perfect kitchen partner now! Soft StartTM Feature brings the beaters up to the selected speed gradually to help prevent ingredients from splattering. The 9-Speed Hand Mixer, with Exclusive Accessory Pack, offers endless opportunities in one hand-held countertop appliance. This Exclusive Accessory Pack includes 2 Stainless Steel Turbo Beater II Accessories, Stainless Steel Pro Whisk, 2 Stainless Steel Dough Hooks, Blending Rod and a Storage Bag to neatly protect and organize everything. The perfect go-to small appliance for mixing, kneading, whipping, blending and so much more.